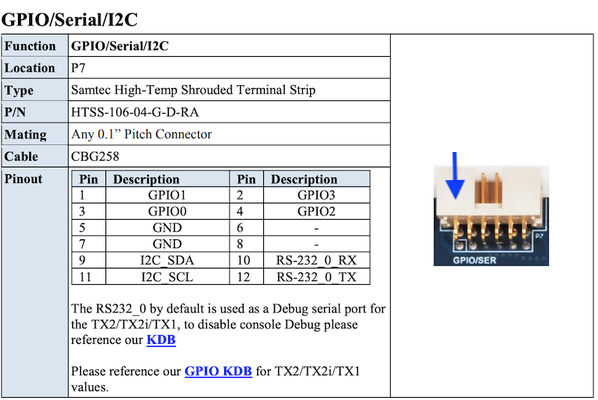 GPIO (General Purpose Input Output) gained popularity mainly after their introduction on Raspberry PI's, they facilitate serial communication enabling ways configuration and communicate with serial sensors. Connect Tech carrier boards are available for NVidia Jetson processors such as TX1, TX2 and TX2i which includes GPIO port interfacing on them through GPIO expanders, providing an additional features to gather IO signals from other sensors for IOT developers to explore more ways to enhance their systems. This article attempts to explain GPIO pin layout on ConnectTech Cogwell carrier board for Jetson TX2. Fig1: Connect Tech Cogswell board - GPIO pin module. Cogswell carrier board for Nvidia® Jetson processors are specifically designed for Vision processing applications which contains 5x Gigabit ethernet ports of which 4x supports POE, the board is designed to work for GigE Vision Camera's, for further details on the board on Connect Tech Cogswell page. GPIO pin header at location p7 (see Fig1 above) on Cogswell contains 12 pins, of which 4 are GPIO. By default these pins are configured as input on startup or on reset. When these are configured as output, they can output a maximum of 3.30v. Accordingly to make things simple the pin header has an arrow head indicating the start side of pins, precisely these pins are to be counted in bottom -> up pattern, so pin #1 is at lower row in the module, for details refer to [Connect Tech GPIO page] (http://connecttech.com/resource-center/kdb342-using-gpio-connect-tech-jetson-tx1-carriers/). 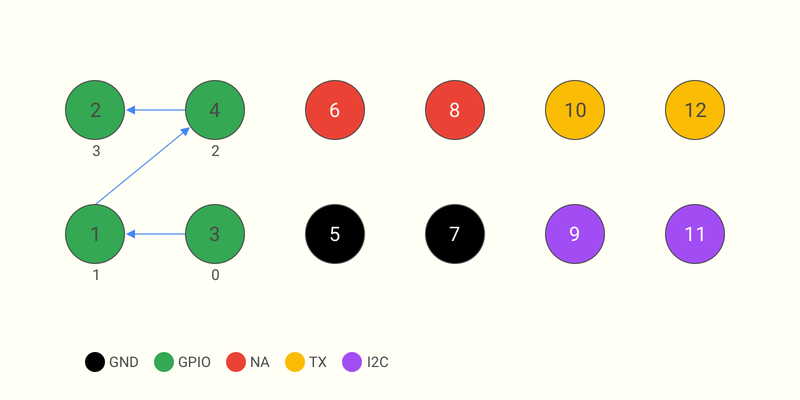 Fig2 is a graphical representation of actual GPIO pins on Cogswell board, Simply speaking, the first four pins in green are GPIO's, pins in black are GND, 2x I2C address and data pins in purple, 2x pins in yellow are RS-232 and finally the pins in red are unavailable as per documentation. The contents of this site represents my personal opinions and thoughts at the time of posting also the information provided is for help with no guarantee.